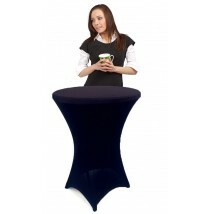 The perfect accompaniment to an exhibition stand, sampling unit or trade show exhibit, our range of exhibition seating and bar stools are available in a range of styles, materials and colours. 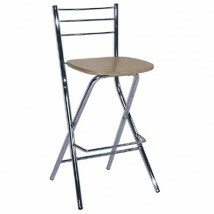 Many come with padded seats that swivel, foot and back rests and chrome finish base and poles as well as a 1 year warranty. 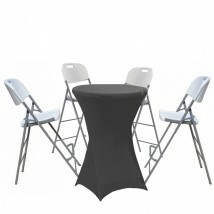 Stylish and comfortable seating ideal for conferences, trade shows and exhibits. Please note these products are not intended for heavy commercial use unless otherwise stated. 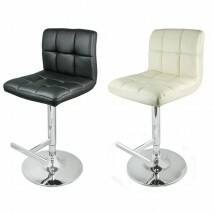 If you would like any help choosing one of our bar stools or tables please call our team of advisors on 0844 800 1020. 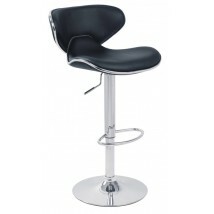 The perfect accompaniment to an exhibition stand, sampling unit or trade show exhibit, our range of bar stools and tables are available in a variety of styles, materials and colours. 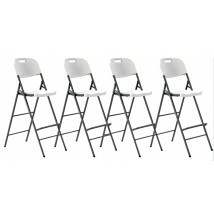 Ideal for sitting comfortably while remaining easily visible when presenting or demonstrating products in front of a crowd, the raised bar stool style exhibition seating is also a popular choice for creating a comfortable and attractive seating area for chatting to prospective customers. 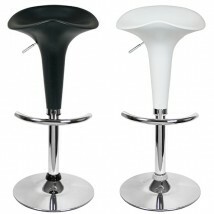 Our simple folding bar stools are a great choice of exhibition furniture for both indoor and outdoor events. 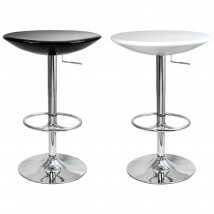 Collapsing down flat for easy transportation and to ensure they take up minimum storage space when not in use, these stools are a popular choice for larger scale seating requirements. 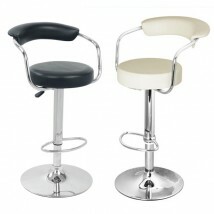 Our gas lift bar stools make height adjustment a breeze, so they adapt quickly and easily to individual needs. 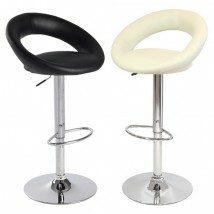 Our stools come with moulded seats with a firmer, wipe clean finish, or look out for our padded seats with integral foot rest, swivel design and chrome finish base and poles to provide a luxurious and comfortable seating solution for your next event – a great way to entice tired customers on to your stand! 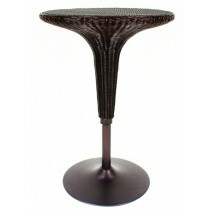 Our range of bar tables are the perfect exhibition furniture to complement any of these bar stools. 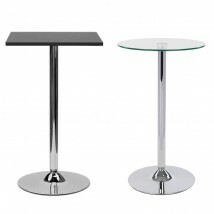 The folding cocktail table is a great space saving choice, with covers available to add a premium look, while contemporary poseur tables are available in a range of modern finishes. 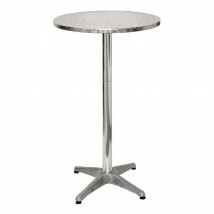 Choose a gas lift, height adjustable table for complete comfort and convenience for your guests. 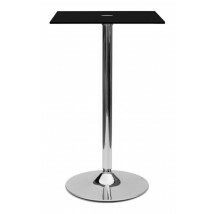 Creating a stylish and comfortable meeting area ideal for conferences, trade shows and exhibiting, all of our bar tables and stools are easy to clean and made to last, making them perfect for use at regular short term events as well as in showrooms and receptions areas. Please note these products are not intended for heavy commercial use unless otherwise stated, though many come with a 1 year warranty. 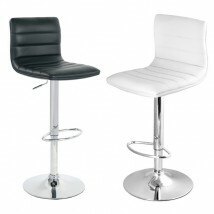 We aim to always deliver high quality products and our range of bar stools and bistro tables are no different. For further information on any of our products please call us on 0844 800 1020 to speak to one of our helpful team directly, alternatively e-mail us at sales@discountdisplays.co.uk.